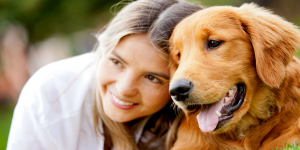 Emotional Support Animal Evaluations | Lori Ben-Ezra, Ph.D.
An emotional support animal is a companion that provides therapeutic benefits, such as alleviating an emotional or physical disability. Most emotional support animals are dogs or cats, but may include other animals. In order to be prescribed an emotional support animal, the person seeking this animal must be diagnosed with a verifiable condition. A note from a physician or licensed mental health practitioner is required. Psychologists in this practice are familiar with the requirements necessary to provide this letter outlining the need for reasonable accommodations that generally include airline travel for the animal and flexibility in rules regarding pets in condominiums, apartments or other communal living situations. Dr. Lori Ben-Ezra and her associates are familiar with the research regarding the benefits of emotional support animals in alleviating the symptoms of psychiatric disorders. After completing a clinical interview and formalized tests, the psychologist will review the data to assess the client’s symptoms. If the person presents with a qualified condition, a letter will be written within 48 hours of the evaluation. These letters are valid for a year and recertification is required on an annual basis.